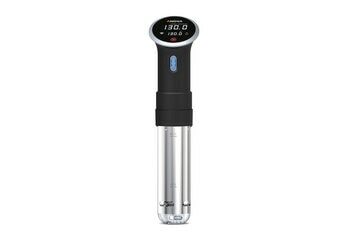 The Sansaire Sous Vide Machine is exceptionally easy to use. 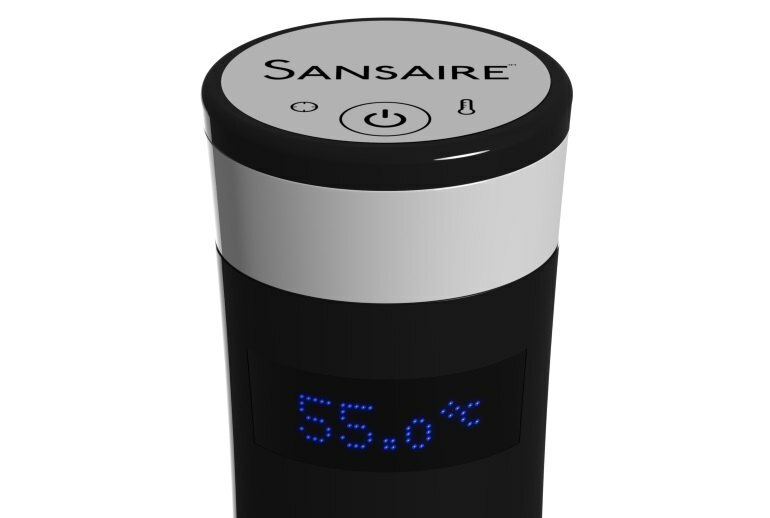 Sansaire boasts an attractive design and its LED temperature readout is large enough to see from a distance. 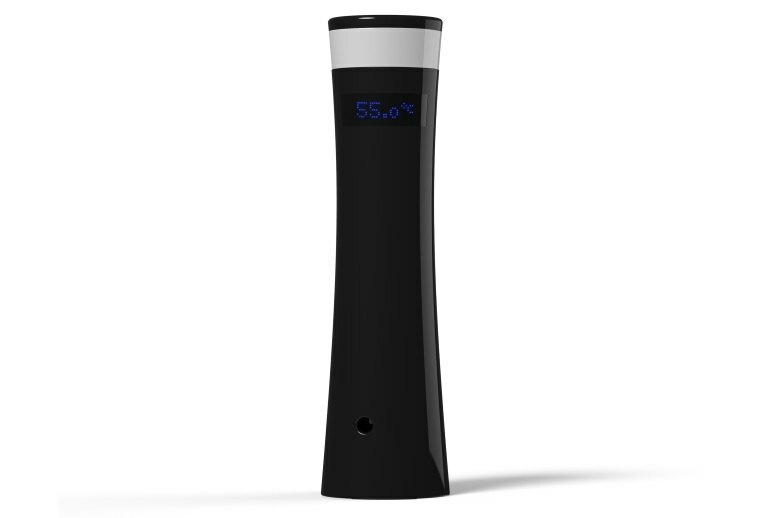 The Sansaire heats water to the desired temperature quickly. Sansaire is a bit more expensive than its competitors. It lacks wireless connectivity for remote control by a smartphone app. The Sansaire is a bit larger and bulkier than competitors, so there's less room in the pot for food. 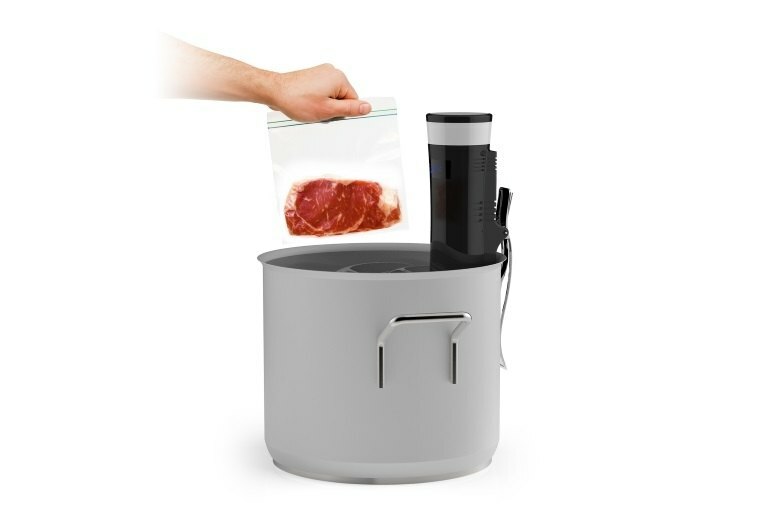 The Sansaire Sous Vide Machine turns a conventional pot into a sous-vide cooker by circulating water maintained at a constant temperature that you set by twirling the top of the unit. 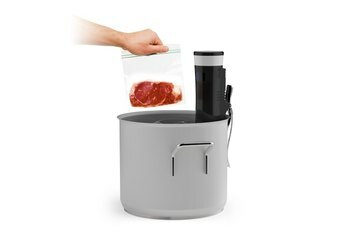 When the desired temperature is reached, you immerse the food, which is packed in a sealed plastic bag, until it reaches the temperature of the water. Overcooking is virtually impossible. My only reservation about the machine is its sensitivity to power outages. Even the tiniest power blip shuts it off. No problem if you're right there and can turn it back on when the power comes back. But if you're doing a 2-day brisket and you're away from home while it's cooking you might come home to spoiled food. 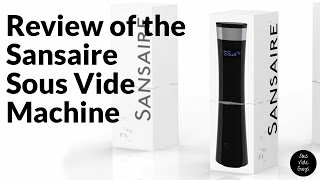 Some go as far as calling Sansaire's design and ease of use 'elegant.' They're not wrong. 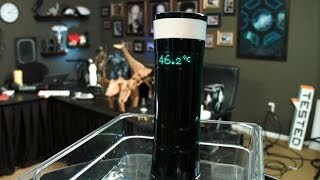 Large digital readout can easily be read from across the room. We like that the water circulation outlet is thoughtfully designed to shoot the water stream to the side instead of straight out in the middle. This works well in that if you have delicate items like eggs in the water bath, they are less likely to be smashed against the back of the water bath while cooking. The greatest advantage the Sansaire has over the Anova and the Nomiku is better drainage at the bottom of the unit. 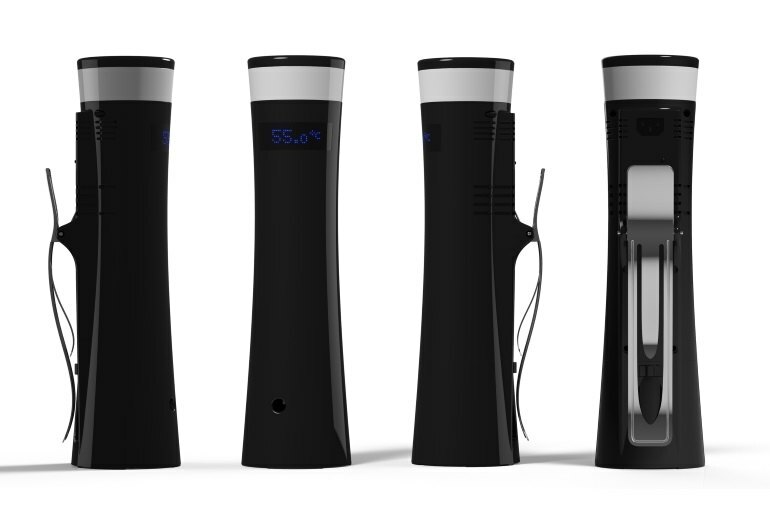 This means you can lift the Sansaire out of the water and within a few seconds, all excess water will drip out, allowing you to rest it on a kitchen towel or drying matt to drip-dry on its own. 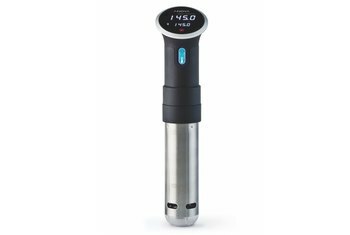 The Sansaire is the latest in a recent boom of immersion circulators: devices that sit in a water bath and maintain the water at a precisely set temperature. 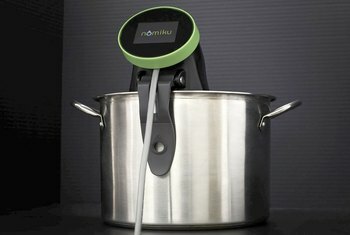 Originally developed for use in laboratories, they made their way into commercial kitchens and, especially over the last year, into home kitchens, allowing unprecedentedly precise cooking.